Dental implants are an extremely popular choice for patients hoping to restore functionality to their teeth and makeover their smile. There are countless professional dentists that provide dental implant surgery, so how do you know which to choose for your procedure? Here is our guide to how to choose an implant dentist. To be a great dental implant dentist you need more than just a professional dentistry qualification. Assessing candidacy, determining the location for the implants to be placed, and performing the procedure requires expert knowledge and understanding. When doing your research to find an implant dentist, you should be sure to ask them about where they did their dental implant training. You should also ask if he/she is a member of the Inernational Congress of Oral Implantologists (ICOI), American Academy of Implant Dentistry (AAID), and the American Board of Oral Implantology (ABOI). Certification would suggest that the dentist has demonstrated the required standard of knowledge, ability and proficiency in implant dentistry, which is tested via a rigorous examination process. It may be a cliché, but there really is no substitute for experience. Regardless of how long a dentist spends studying dental implants, until they put their knowledge into practice, they cannot develop the skill and experience that will make them a true master of their trade. We would always recommend that you choose a dentist that has a combination of professional qualifications and experience in whatever dental procedure you are having. Building rapport and a relationship with your dentist is essential to feeling confident in their abilities to deliver a high-quality procedure with an exemplary level of customer care. A great dentist will be happy to spend time speaking to you about your dental requirements and answer any questions that you may have about the procedure. We know that sometimes it can be tricky to think of questions on the spot, and so we have included some question suggestions for you below. Where did you do your dental implant training? What steps are involved in the process and who undertakes each one? What should I expect during the procedure in terms of discomfort and recovery time? What type of anesthesia will you use? Can I be sedated for the procedure? What treatment plan would you recommend for me and why? What are the benefits and risks involved? What costs are involved, and what payment plans can you offer? 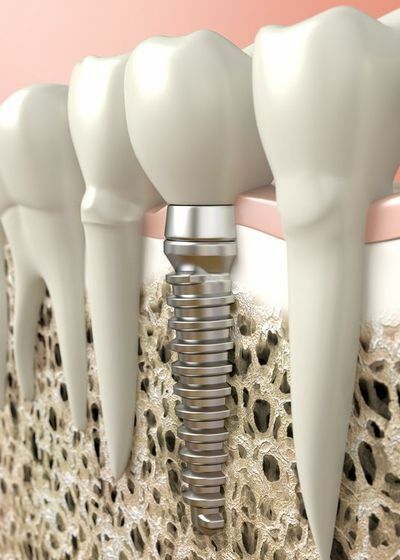 Are you considering dental implant surgery? Or would you like to find out more information about the process? Get in touch with our friendly, experienced team who will be happy to help you at 772-778-5550. ​Sharon was lost most of her teeth due to failure of her old crowns. She was extremely fearful of dentists and wanted a dentist who could provide her with permanent implant options under sedation. After dental reconstruction Sharon can smile with confidence and never worry about wearing dentures. ​Please feel free to give us a call or stop by anytime if you have a question or would like to schedule an appointment.